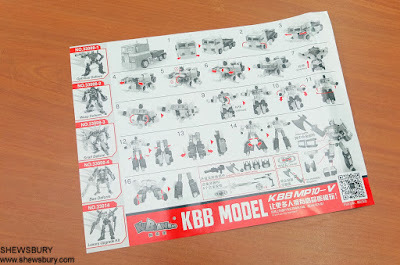 We bought this from a local online store for just USD 29.35 (about SGD 40.00 / EUR 26.11 / GBP 22.55 / JPY 3,263 ). 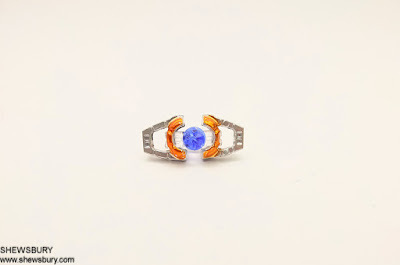 The is the link = https://shopee.com.my/product/88485339/1654289553. Millions of units sold worldwide and after viewing several video reviews about it in YouTube, I decided to join the fun and grab this item. 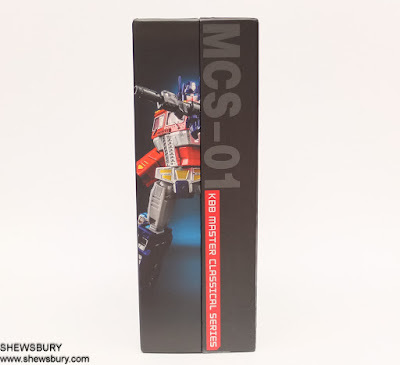 For such price I personally think that the packaging and box material quality as well the box art is quite impressive. 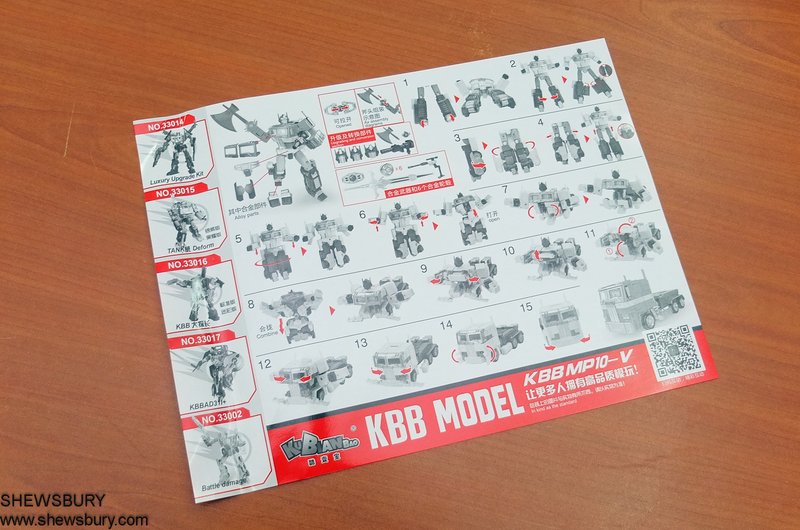 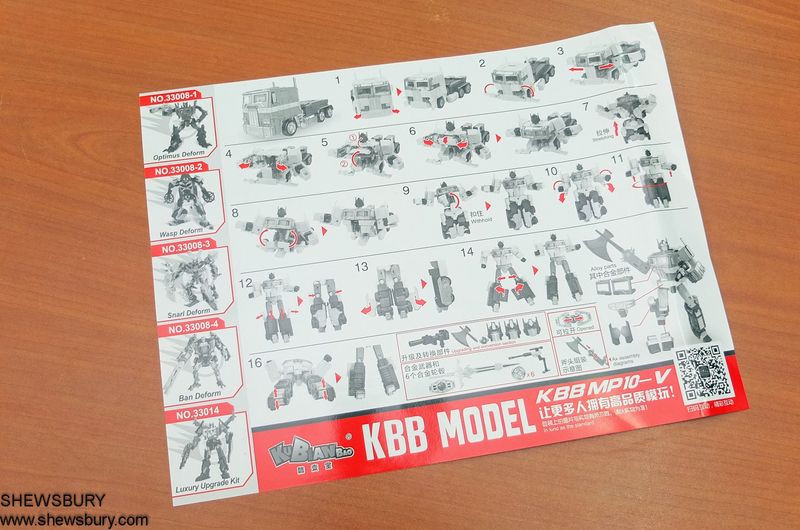 As you can see from the bottom left of the box picture below, those 8 parts are made of die-cast (alloy). As a side note, on the picture below I detected some annoying QC issues, that thing is not perfect but then again it's not totally terrible. 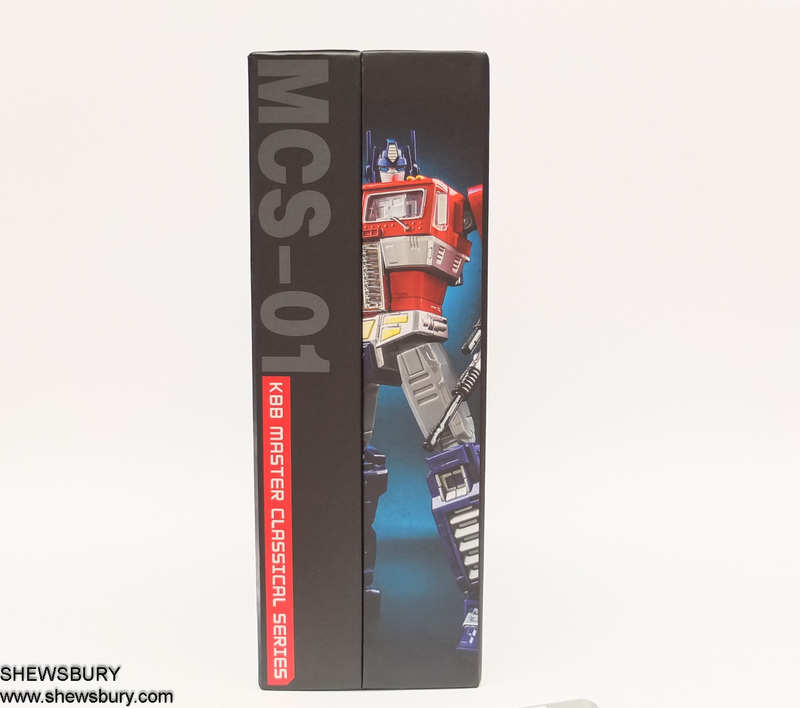 Other than this, I don't see any other QC issues on this product. 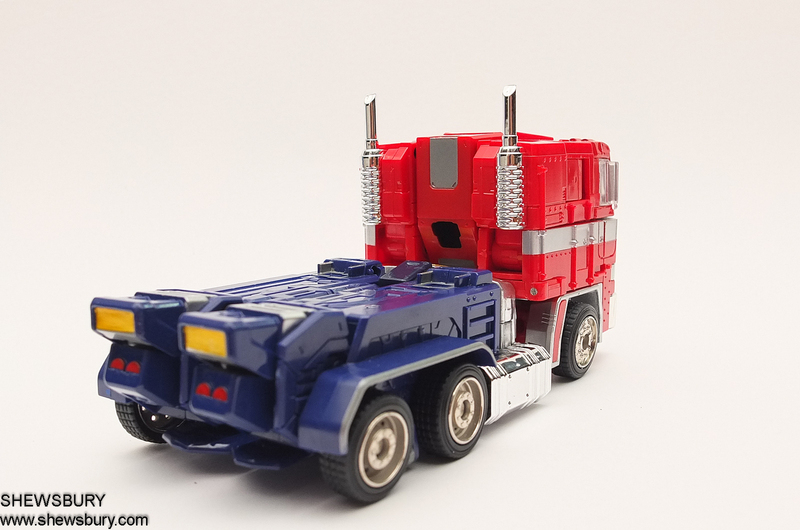 Apart from the problem I mentioned above, overall, the vehicle mode is quite decent and quite similar to the TAKARA TOMY TRANSFORMERS MP-10 CONVOY which is the based of this knock-off version. 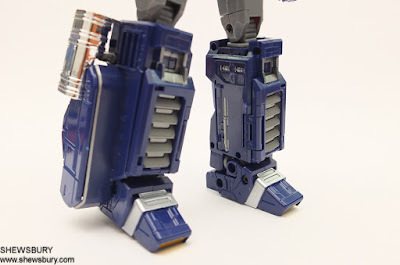 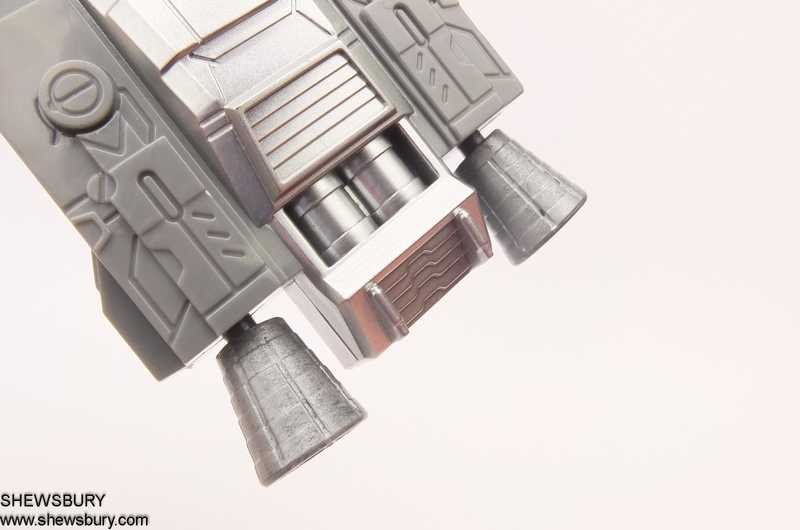 Articulation point for the figure (robot mode) are consistent with the original version. 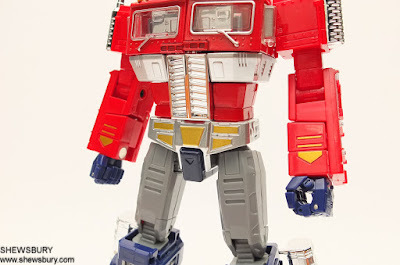 Nothing groundbreaking, nothing terrible either - it works fine as it should be. The die-cast (alloy) parts made this figure feel quite heavy - certainly heavier than any other original Transformers figures Hasbro/Takara Tomy at the same size (Voyager Class - about 6-7 inches tall). The next weapon is the axe that comes with a brilliant orange colored plastic parts, no complain from me on this one, it looks great and can be attached to the hand easily. And you also get that pistol, not my favorite but then again that pistol is 100% die-cast (alloy) it has some weight on it. 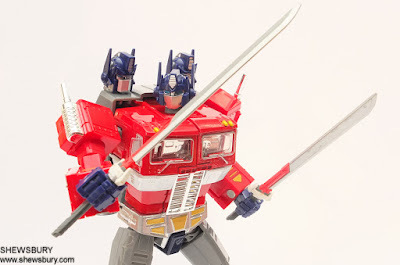 Lastly, the sword which is also 100% die-cast, looks and feel solid with some weight but also not my favorite, I would prefer if the sword could be a little bit longer than this but then again that is just my personal preference. 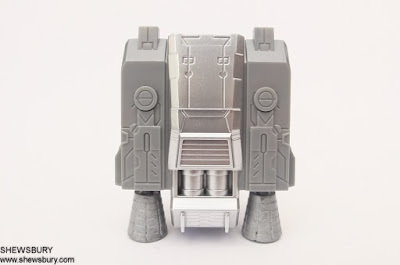 I like this jet back-pack or whatever it is but I have one complain about it which is the thruster color (clear plastic parts that made it look like some sort of glass). 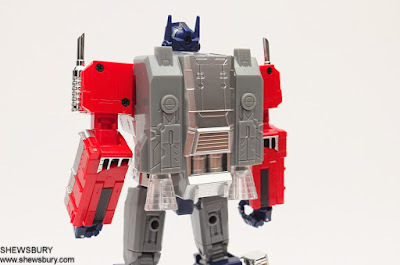 I would prefer if it comes with the same color of the back-pack body which is grey. 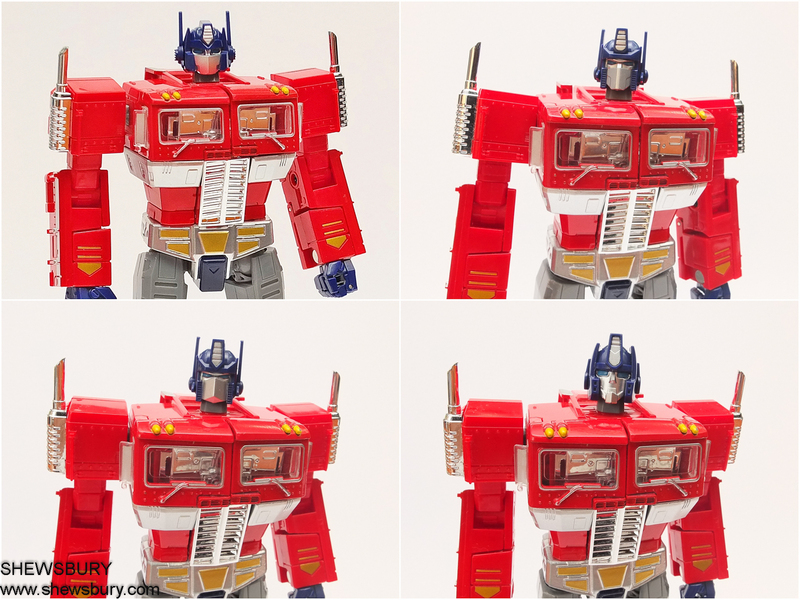 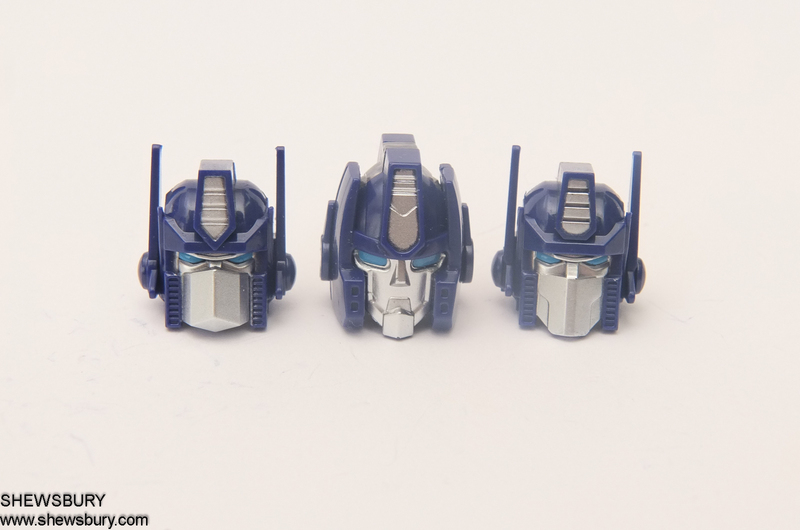 The 3 optional heads are self-explanatory - basically, you can use whatever head/face that you like the most amongst the 4 of them but I personally prefer the original G1 look design. 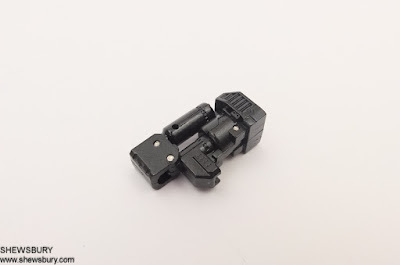 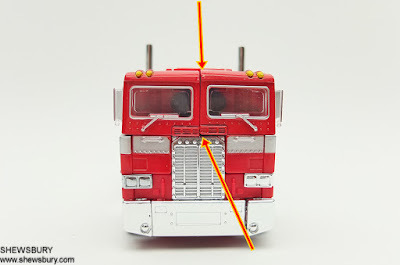 There is a screw right behind the head and it's pretty easy to remove/replace the heads accordingly. 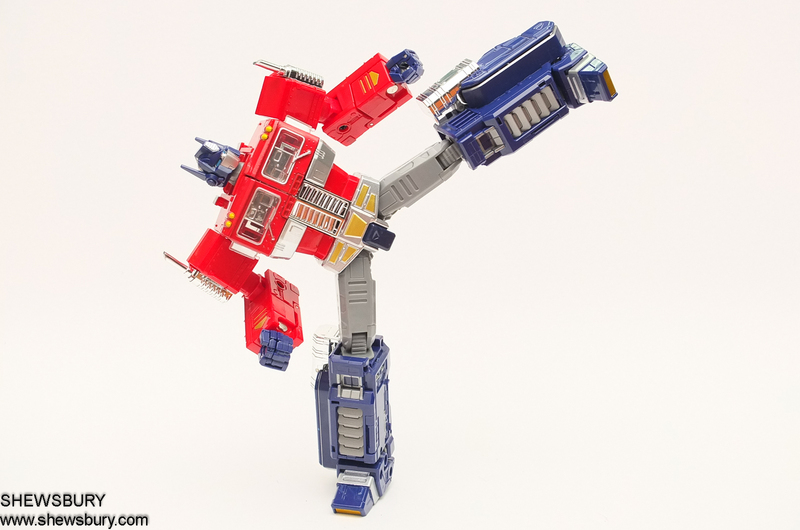 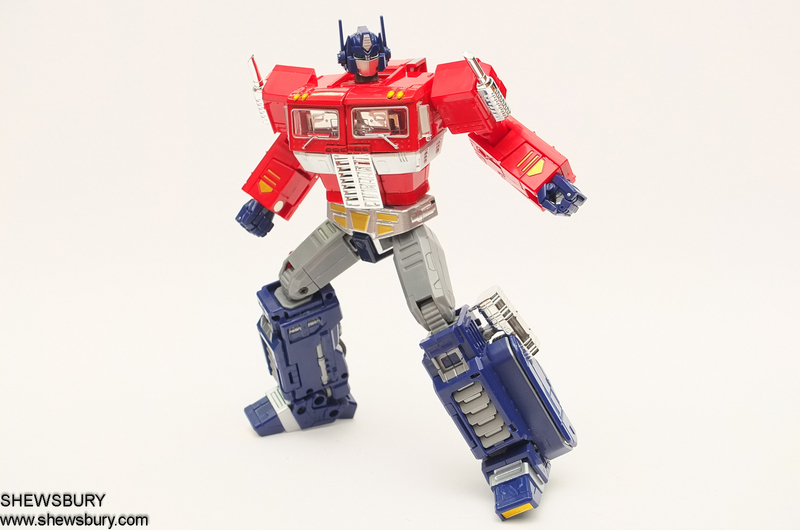 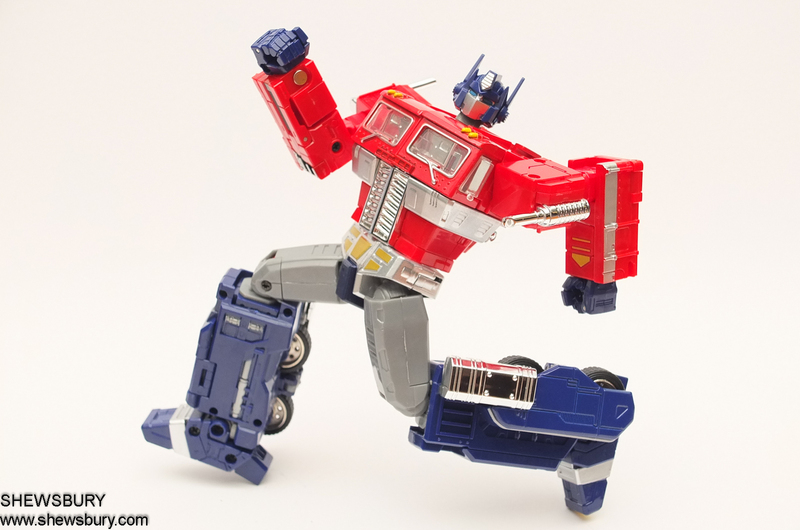 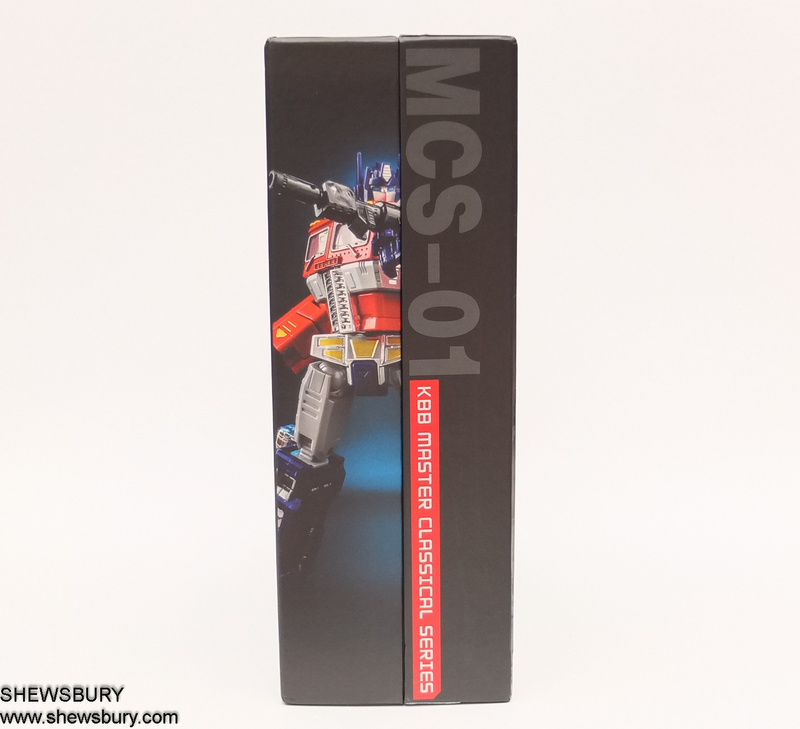 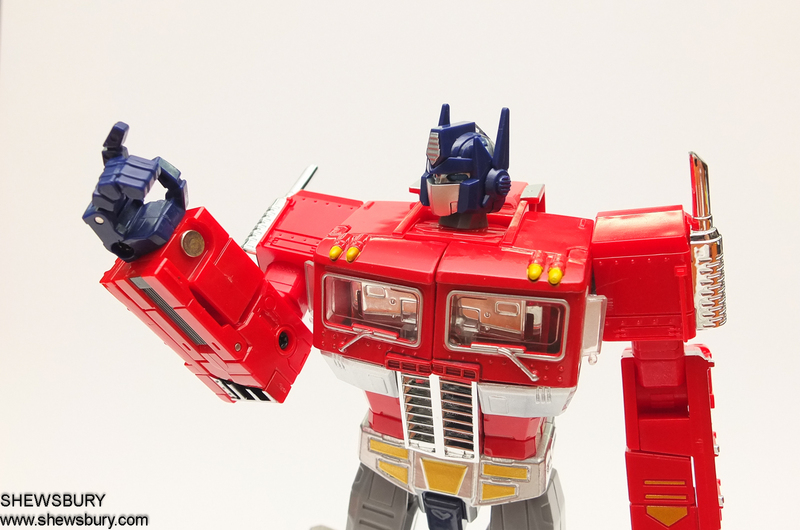 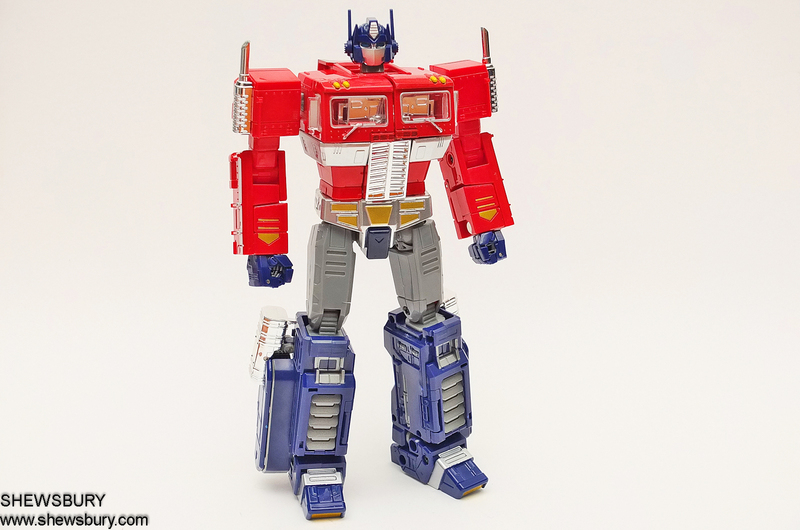 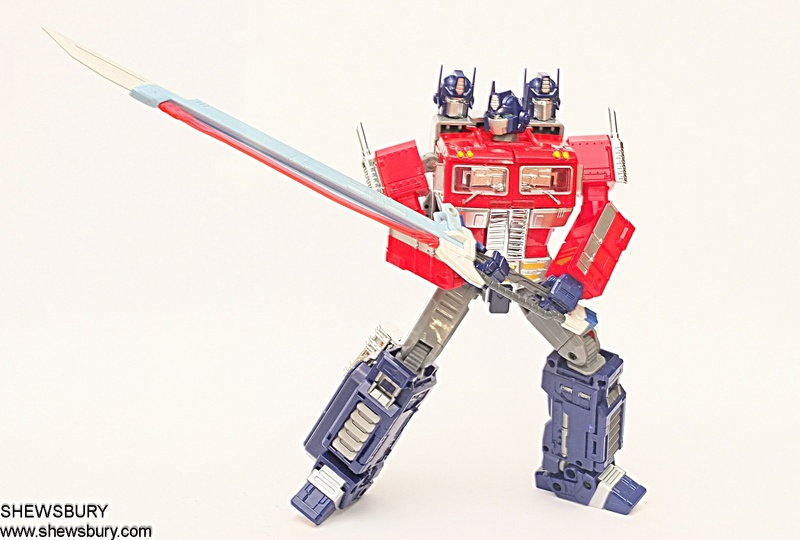 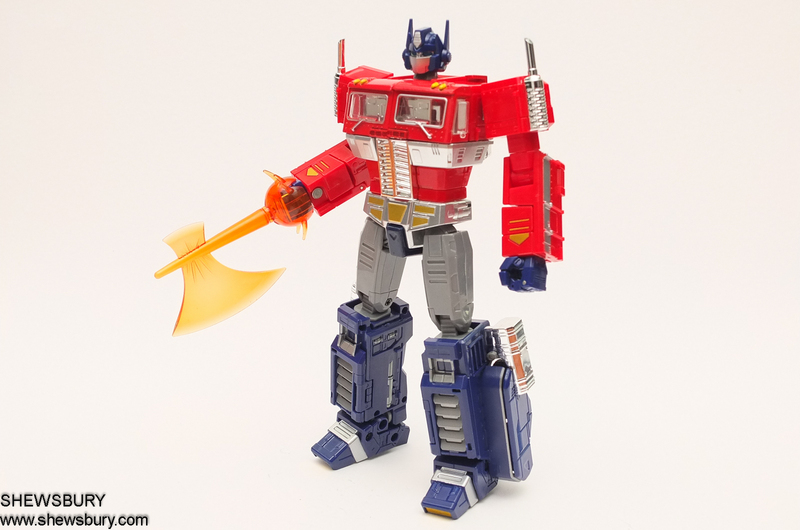 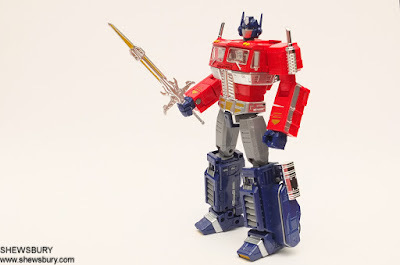 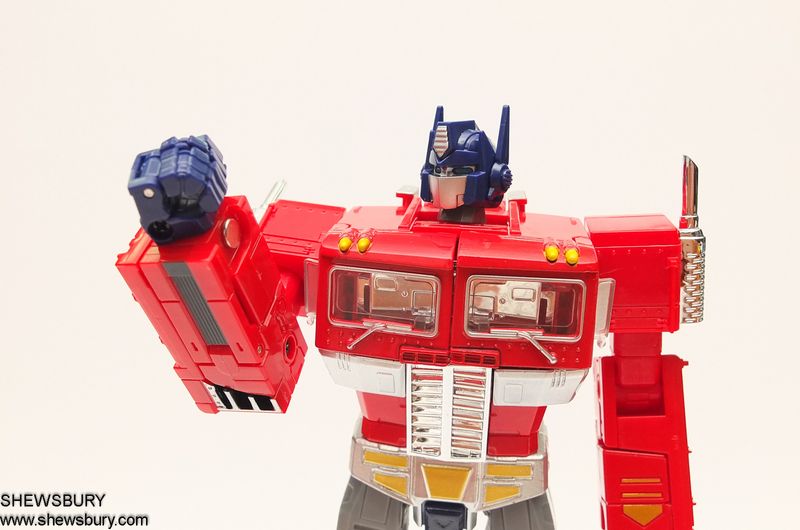 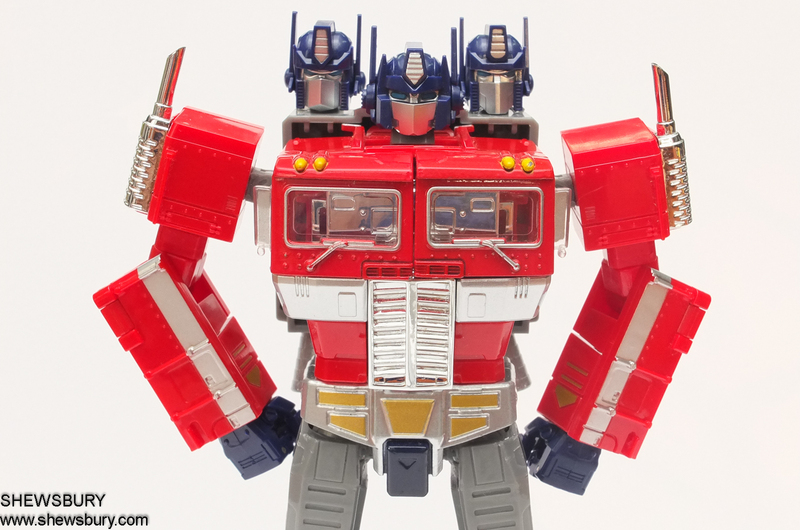 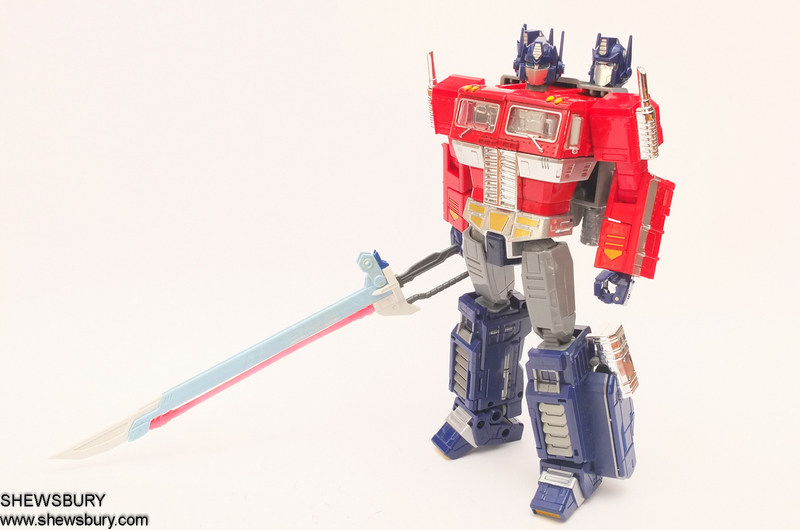 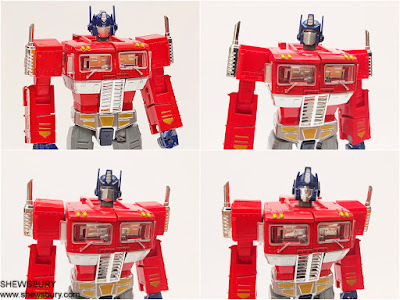 Overall, this is a very fun action figure and toy representing the popular Optimus Prime from Transformer series in which the toys/action figures are commonly produced by Hasbro and Takara Tomy. 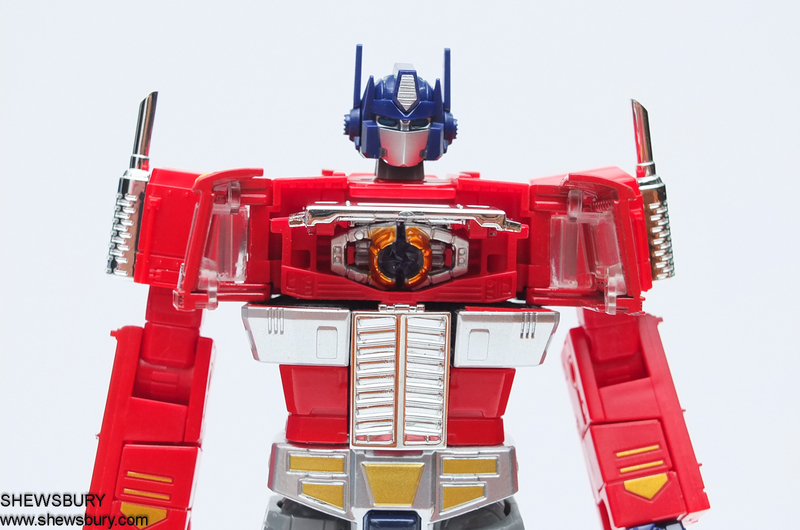 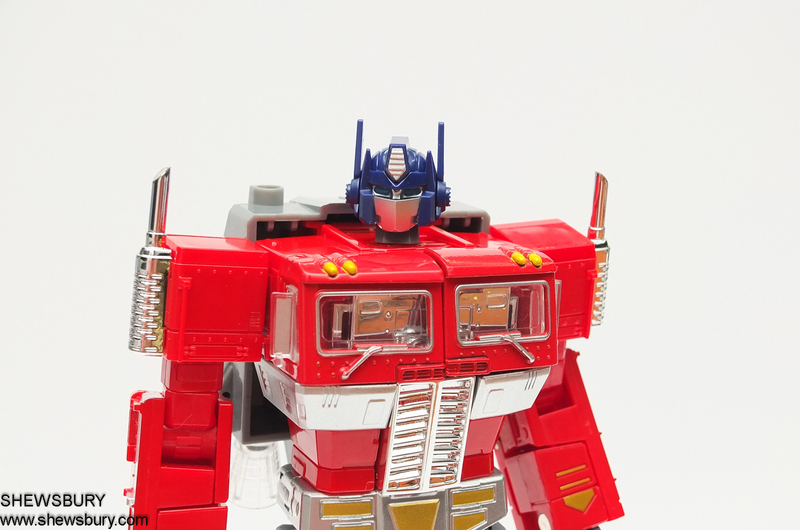 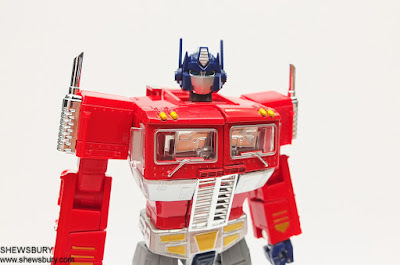 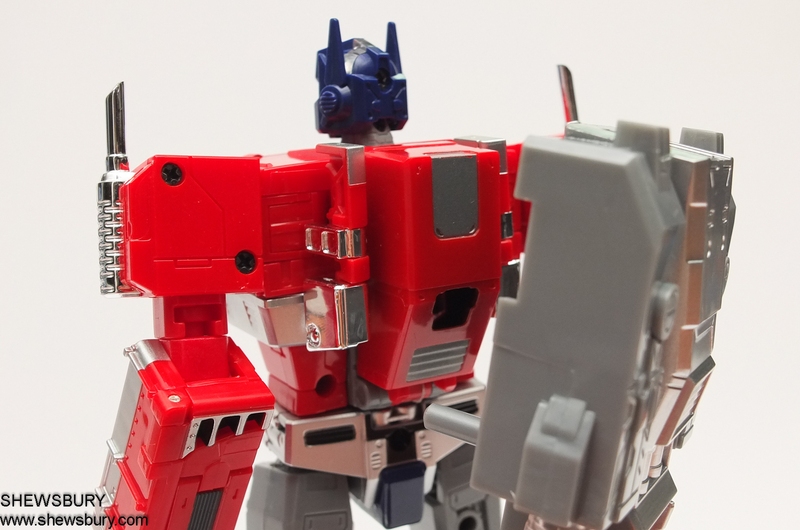 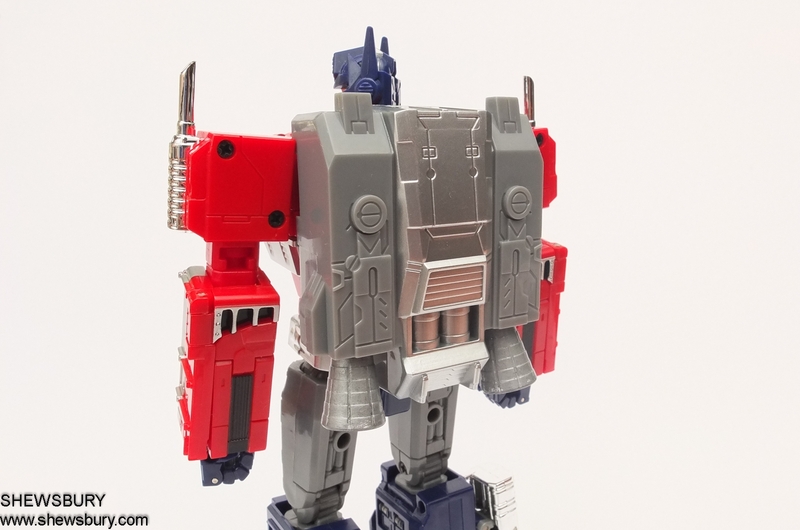 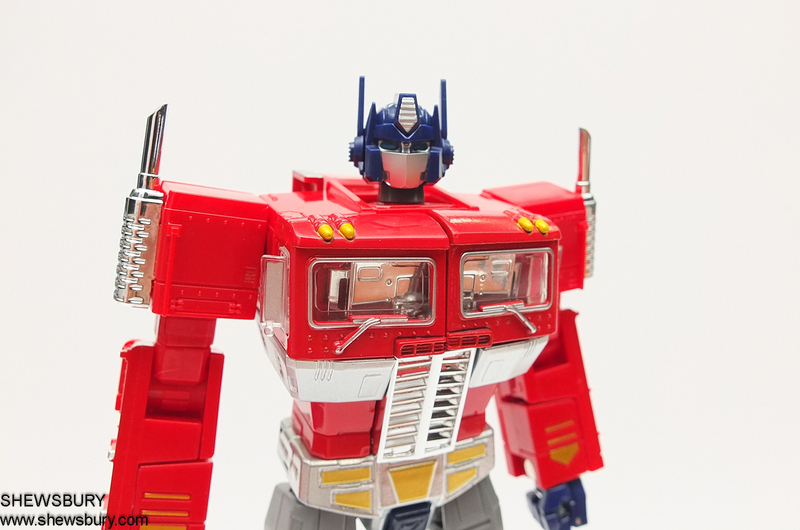 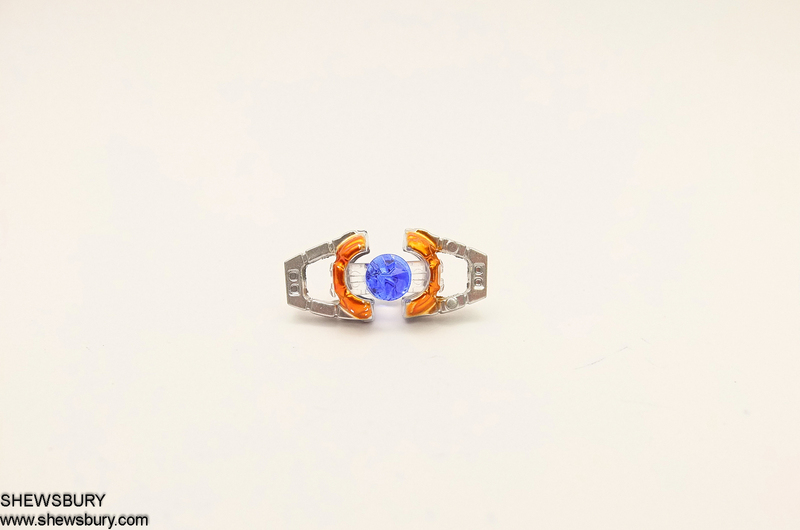 Despite the fact that there is no Autobots logo on the shoulder many children, fans and collectors can easily identify this as Optimus Prime, no doubt about it. For a Chinese Knock-Off, this item is excellent and despite the QC issues I highlighted above, I'm still happy with the rest of this product. Ku Bian Bao (or KuBianBao or simply KBB) have done a tremendous job copying the original and scale down the size and yet give plenty of additional accessories and weapons which increase the play value of this figure. 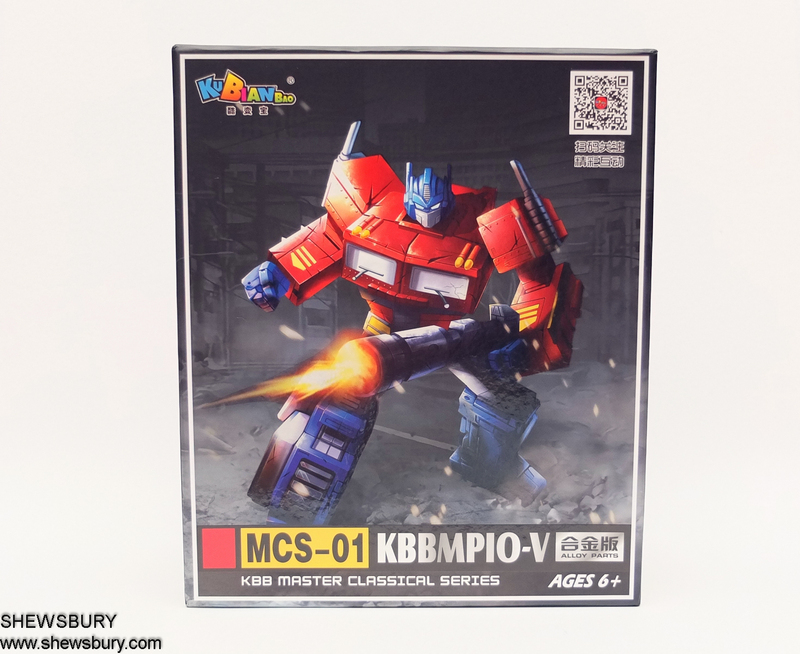 Copyright issues aside, I have to say that KBB deserves my praise on this one and I really hope and pray that someday KBB will produce the MP-13 Soundwave in this particular size - I will certainly buy it. I believe if Hasbro/Takara Tomy produce die-casted Transformers figures for their Voyager Class segment while maintaining a decent price - many of the fans and collectors alike would not hesitate to buy though it is unlikely to happen because Hasbro/Tomy wants better and bigger profit - simple as that. 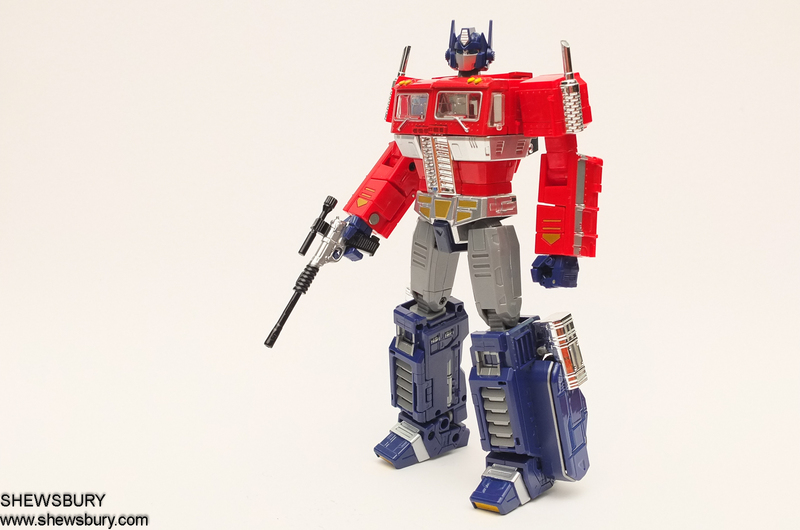 Anyway, back to this Optimus Prime, it is a fun action figure with good quality and decent extra weapons and accessories and in my opinion this is a very good value for the money we paid. 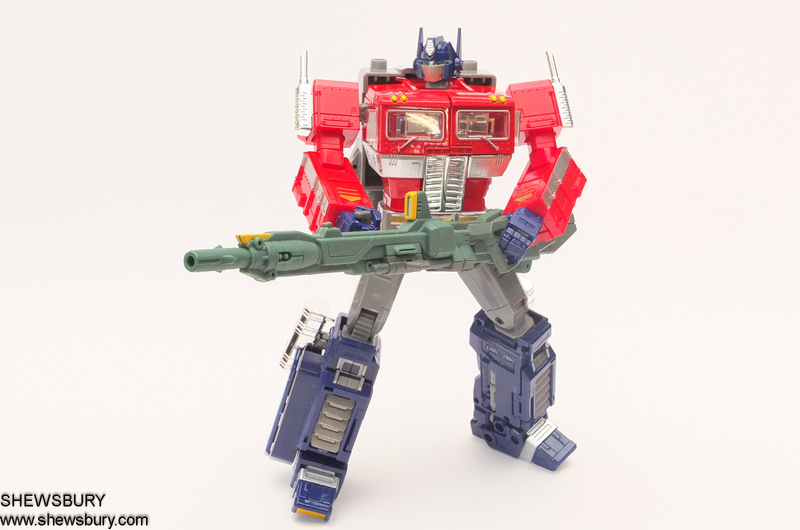 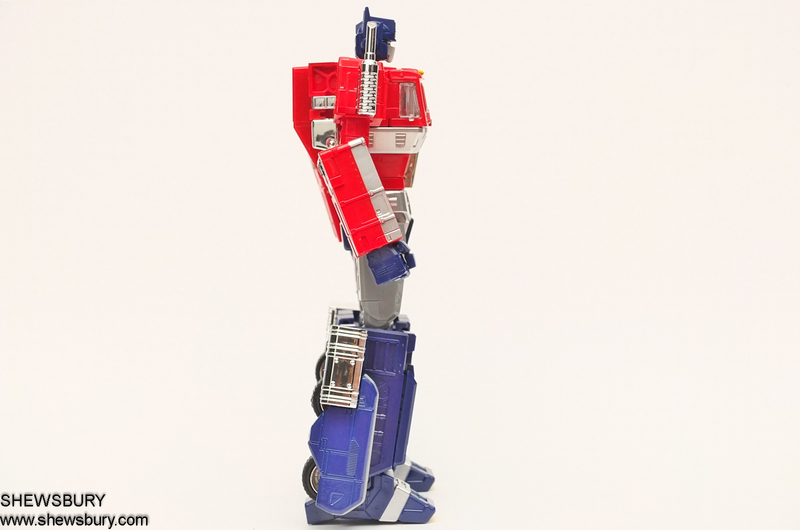 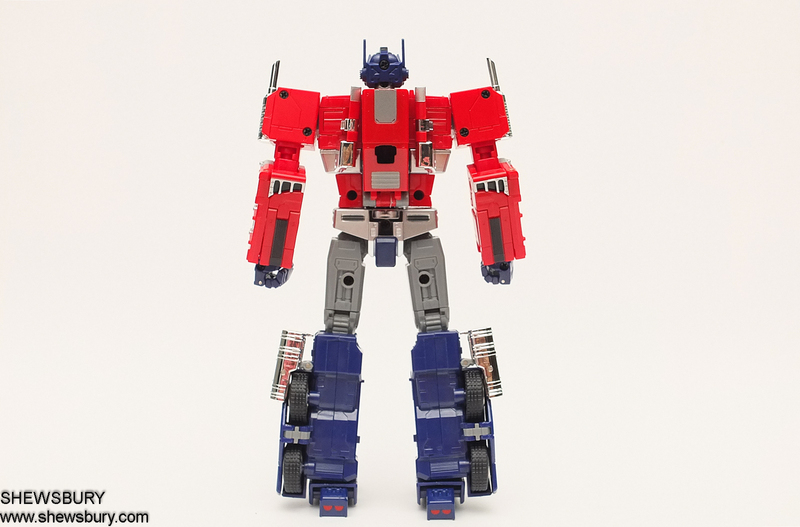 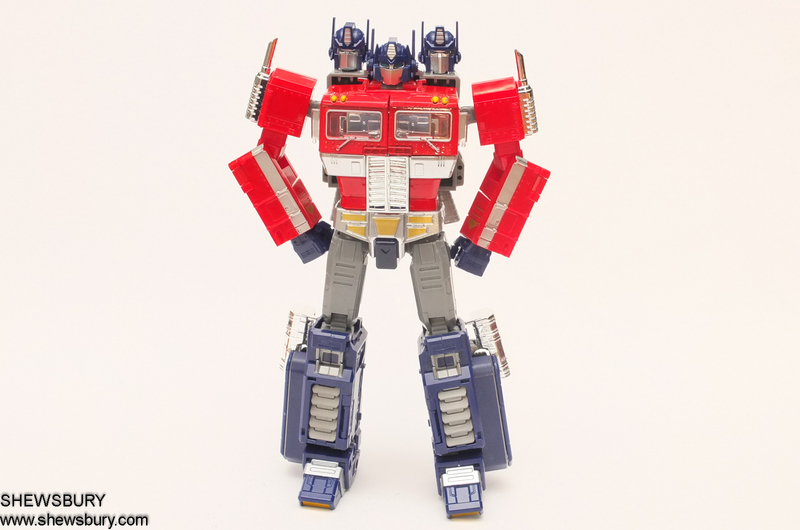 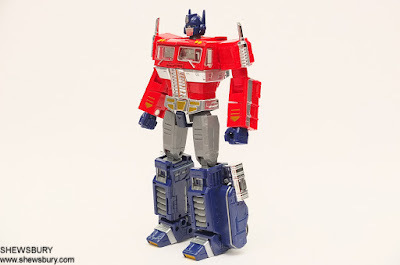 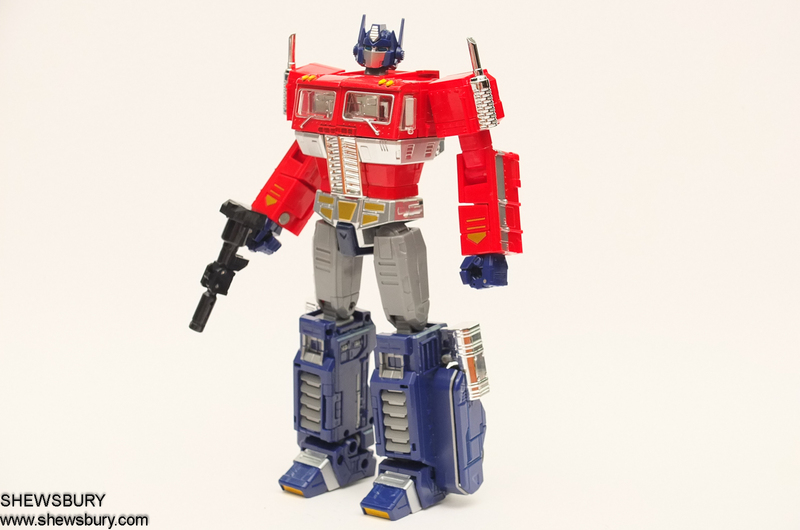 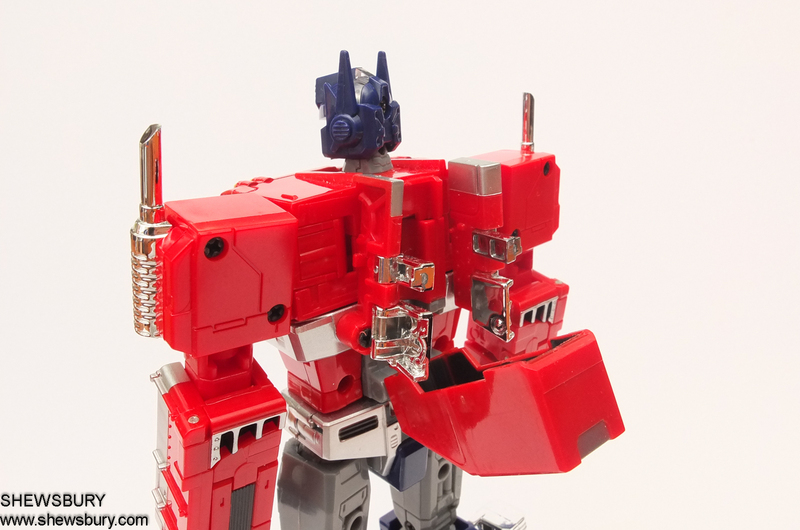 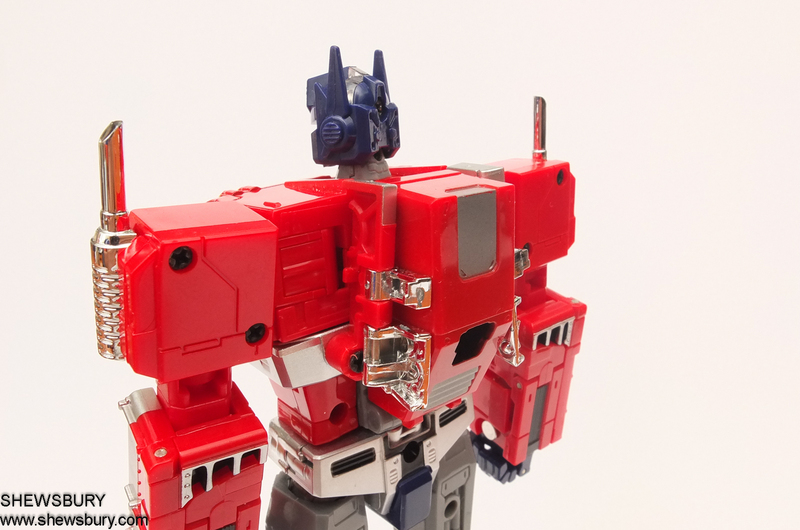 This is simply one of the best transformable Optimus Prime figure in Voyager Class size (about 6-7 inches tall). 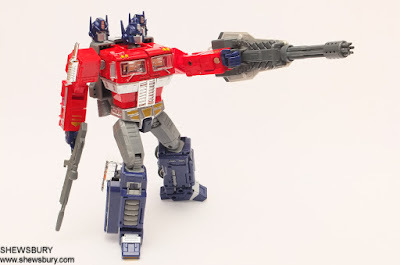 Highly and sincerely recommended to those who still thinking and/or undecided about it. 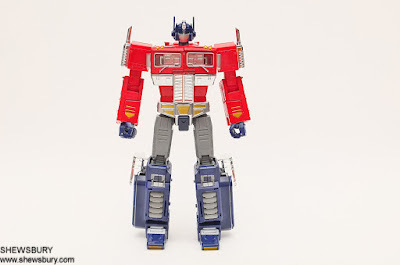 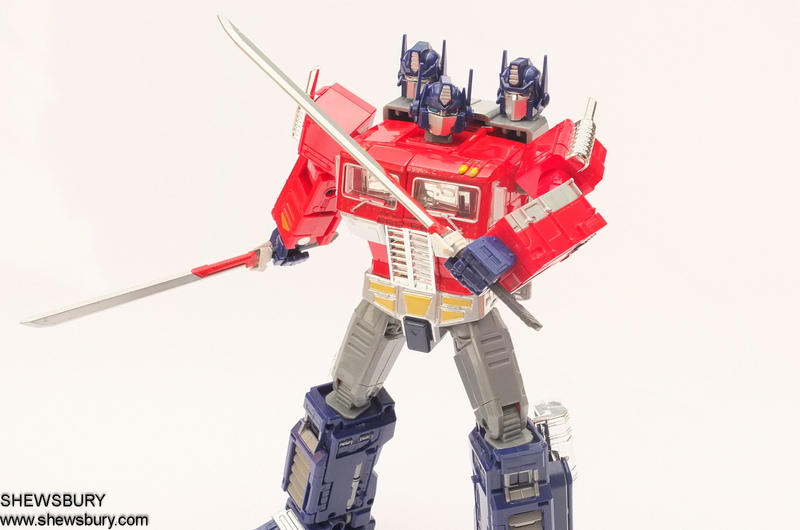 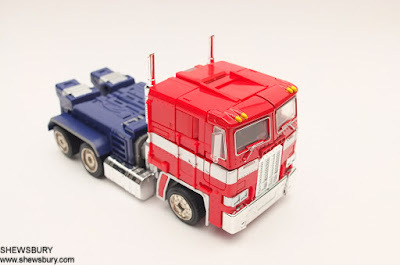 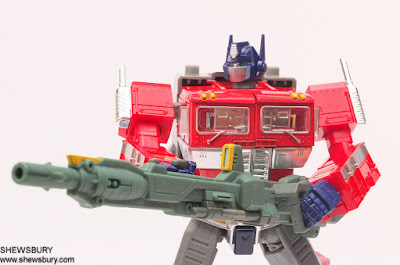 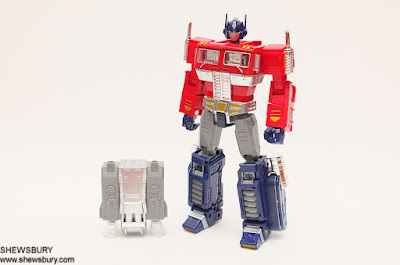 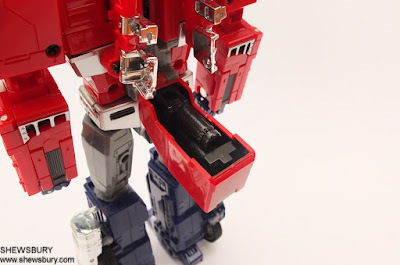 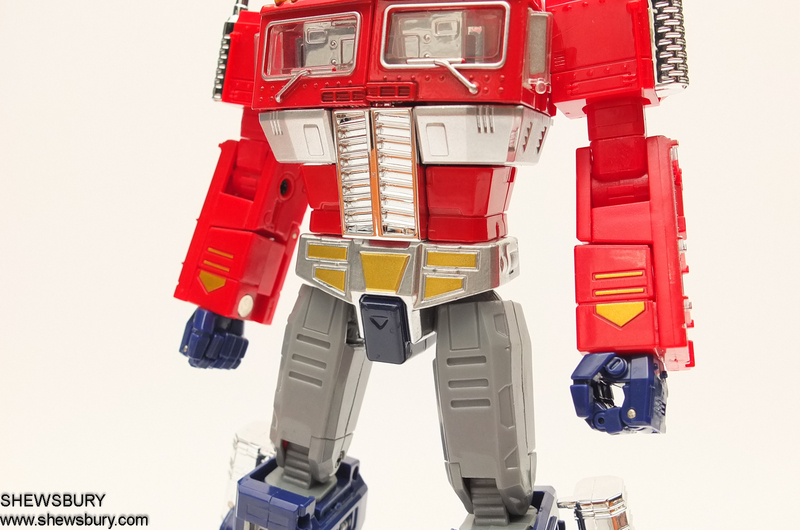 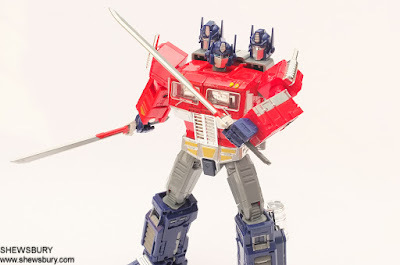 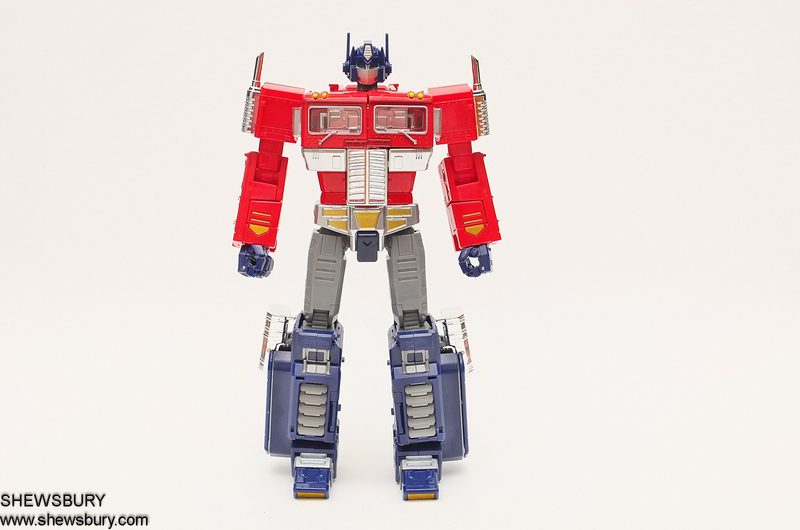 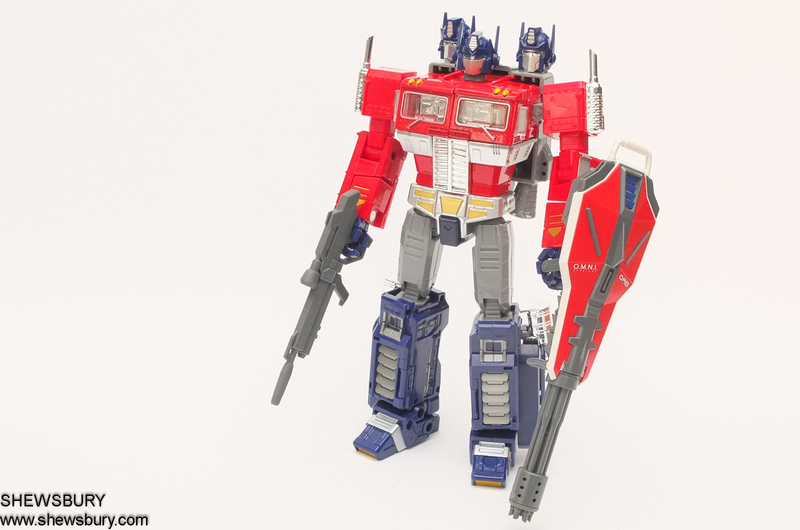 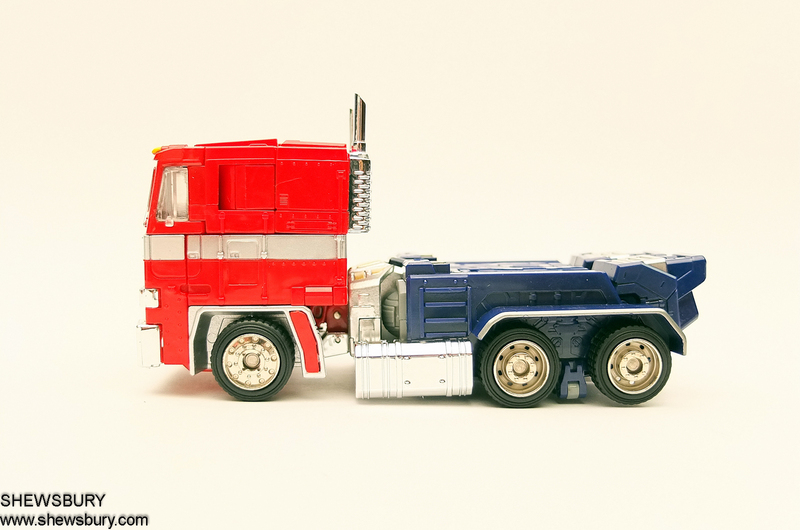 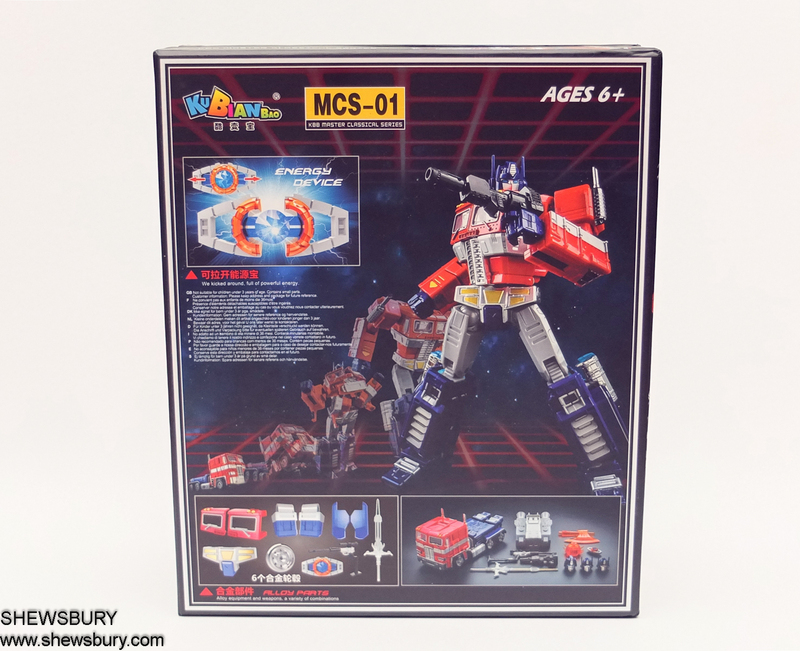 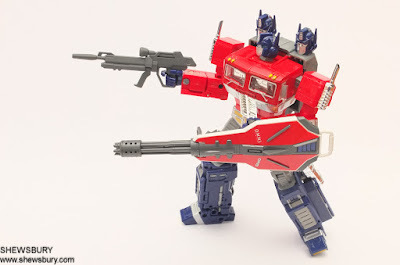 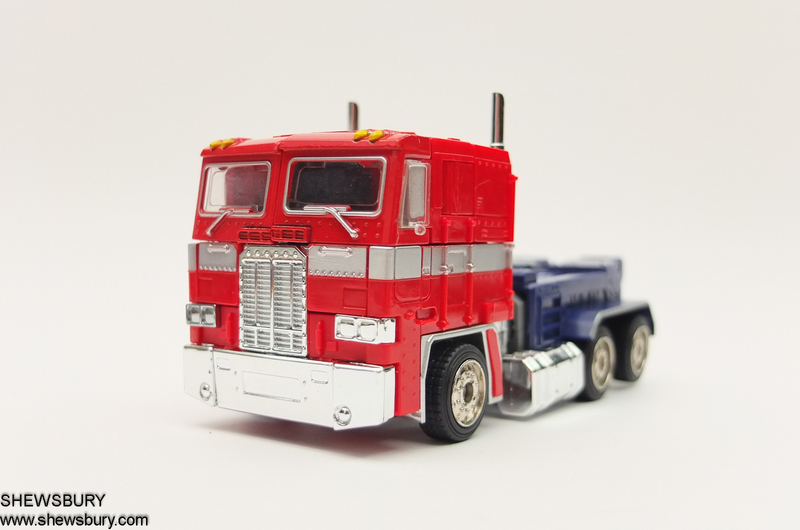 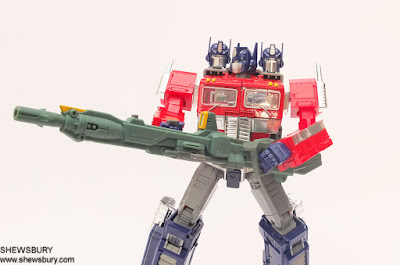 I personally don't fancy the features from the trailer (same opinion for the original MP-10 Convoy) simply because it doesn't combined with Optimus to become a more bigger/powerful version but rather it only serves as container for what ever those additional machinery and vehicle provided and other than that it become like some sort of service/repair bay for Optimus. 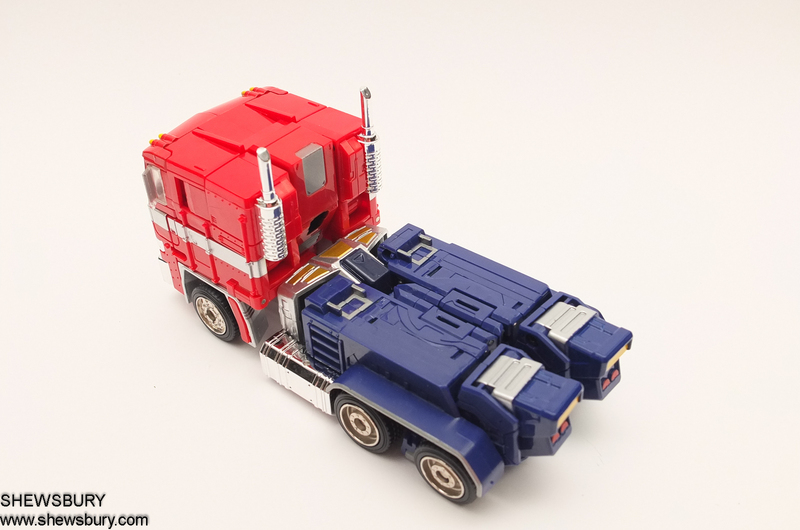 The only thing that I actually love the most is the small human figure which I can put into the driver seat of this Optimus in his vehicle mode (or maybe also in some other Transformers toys with adequate space for driver/pilot). 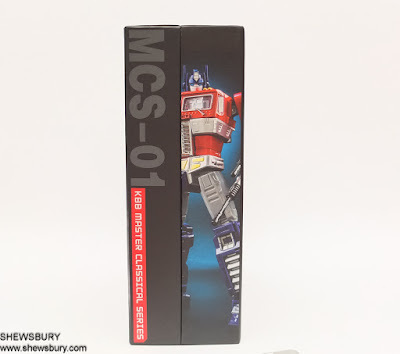 So at the moment I'm not really in the rush to get it, just keep it in my wish list. For the size and the price, I think its worth the money if you have the space. 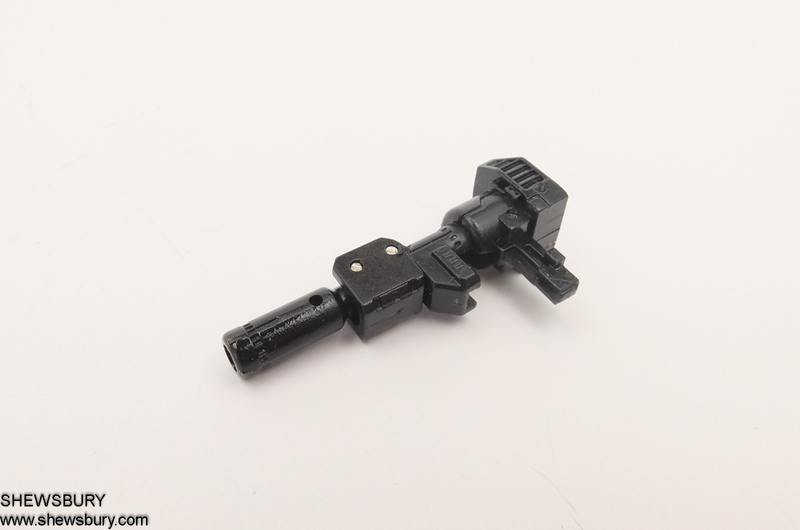 The head i find could be better. 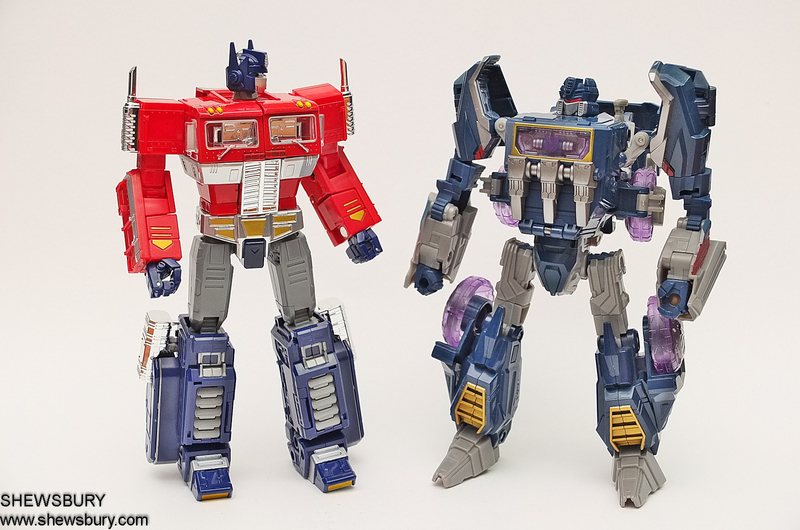 Knock off or not, this looks really cool. 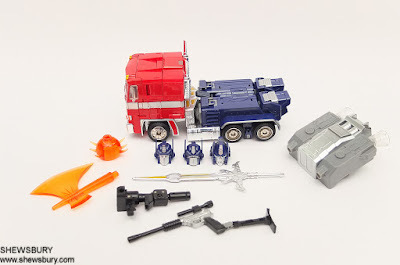 The weapon can be kept and full of accessories too! From different heads and the matrix!